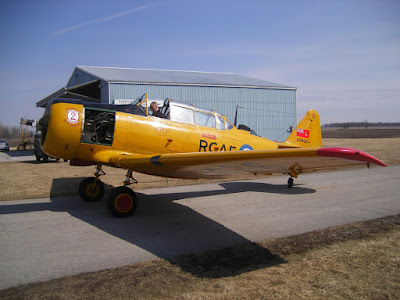 Last weekend I was up in Canada visiting the Canadian Harvard Aircraft Association in Tillsonburg. 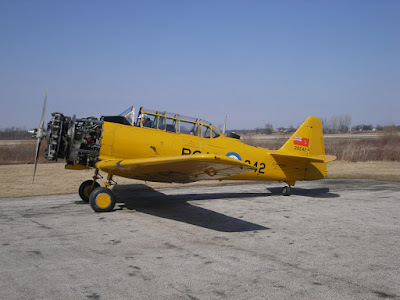 No flying yet, but a few aircraft were being run up for annuals and other tests. The CHAA's newest Harvard Mk. 4 CF-WLH RCAF # 20436. 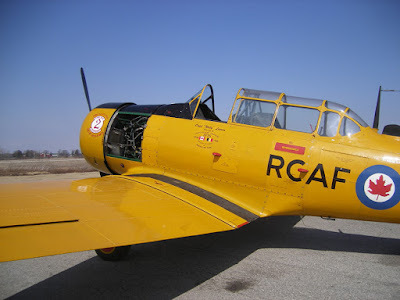 Harvard Mk. 4 C-FWPK RCAF 20242 was also being run up. 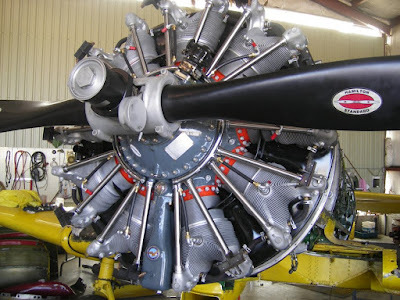 Harvard Mk. 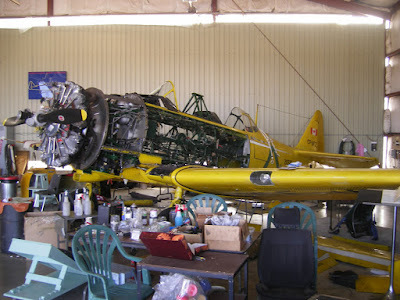 4 CF-UFZ "Bessy" RCAF 20321 was pulled apart in the hangar. Bessy's new engine was looking very slick. More photos please. Especailly cockpit photos.